A bit early, but wishing you all HAPPY HOLIDAYS! 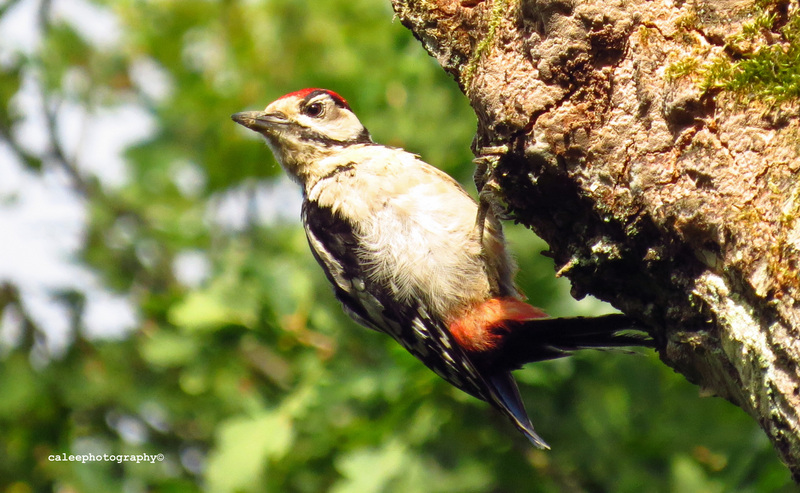 Here are two pictures of a male Great Spotted Woodpecker (Dendrocopos major) I took this morning. Two pictures of a great spotted woodpecker (Dendrocopos major), taken in the Waterleidingduinen outside Amsterdam this week. You can tell it’s a juvenile because the top of the head is crimson, when it gets older that part will become black and if it’s a male he will get a crimson spot on his nape instead.